We caught up with Dan Harris, a talented and fascinating Wellington filmmaker, whose film, Bodies In the Void, will screen as part of the Wellington Underground Film Festival (WUFF) this weekend. Ellen Pullar, Ngā Taonga Sound & Vision: Your film, Bodies In The Void, has been selected to screen as the finale to the Wellington Underground Film Festival (WUFF) this Saturday evening. Could you tell us a bit more about the film, and your inspirations making it? 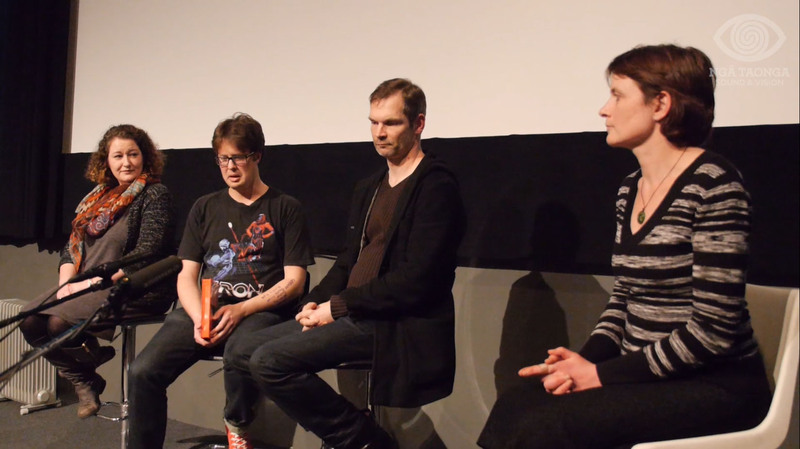 Dan Harris: This film started out as an experiment and just kind of developed over time. I made a few animations and then tried to replicate the animations in real life. Initially it was just a way of exploring form, I wanted to make it hard to differentiate what was filmed and what was 3D rendered. I’m fascinated by technologies that deal with virtual space or detached realities. Oculus Rift, camera drones, Second Life, anything where the line between the real and virtual become blurred. It makes me excited and kind of terrified at the same time. A still from Bodies in the Void. See the film as part of WUFF 7pm this Saturday. EP: Each year WUFF attracts hundreds of submissions from around the world. The fact that your films have been selected for three WUFF festivals is very impressive! Festival Director Rosie Rowe tells us your films express a distinctive “style and voice that I would claim should be recognised internationally.” Can you tell me a bit more about your background as a filmmaker – what drew you to film initially? And what draws you to WUFF, in particular? DH: I started using video when I was about 14-15, just filming my friends skating. I think I liked filming because it took the attention away from me being a lousy skater – ha. I was really into Spike Jonze skate and music videos, they were clever and not super high-production. It kind of opened my eyes to what was possible to make with little or no money. Since then I’ve always appreciated work that was made for cheap, and I’ve always preferred the experience of being in small crews or one-on-one collaborations. WUFF caters a lot to that type of work. 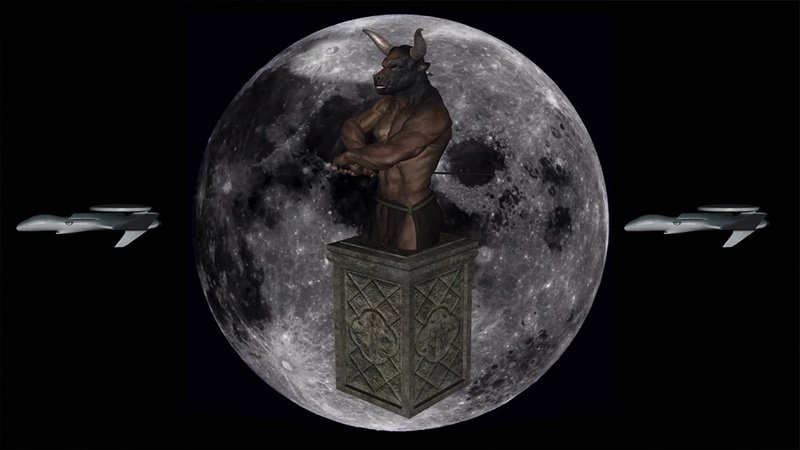 Also, I just want to say the films I’ve submitted to WUFF couldn’t have happened without the music of Cartoon (Ryan Bennett) and Jupiter Phrixos Njörðr – sound is a definite driving force for me. EP: How does Bodies In The Void develop upon / depart from your earlier work? DH: For a long time, most of the work I made had a large element of humour to it. I think humour can be a really powerful tool, but it can also be a way to brush off any real criticism. I could act as if I didn’t really care about the things I was making, like they were just jokes. This was my first attempt to make something that was a bit more serious I think. Find out more about WUFF here. EP: The WUFF programme chosen – which includes films from all around the world – often reveals interesting intersections and contrasts between the local and the global. Do you see yourselves as being influenced by local Wellington issues? Or would you define your work differently altogether? DH: I’m not sure if I’m influenced by Wellington issues specifically, but I guess I naturally make work that is influenced by my own experiences. A lot of it is self-reflective to a certain extent so it does consider my time spent here. But the experiences or ideas are perhaps more universal. 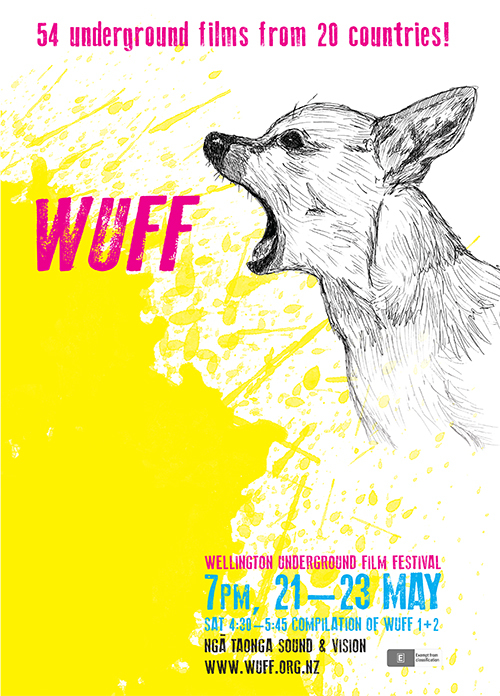 EP: WUFF is about encouraging NZ and international filmmakers who have an original, radically artistic approach and are producing work outside mainstream film production and distribution. Who are some of your favourite experimental filmmakers working today? DH: The people who influence me the most are local artists who I have had a chance to work with or talk to in person. Some are not strictly filmmakers, but they utilise moving image in some way or another. Simon Ward, Kenny Smith, Erica Sklenars, Nathan Taare, Beth Hilton, Tristan Brooks, James Crane, Samin Son. I’ve collaborated several times with my good friend Ruby Gray, we’ve both pushed each other to some pretty extreme limits and created work that neither of us could have imagined. On a broader scale I love the work of Chris Cunningham and these amazing animations by a YouTuber called Chriddof. EP: What’s next for you? Any new projects on the horizon? DH: Yeah, I’m currently working on a music video with Georgette Brown and Charlotte Forrester for Charlotte’s solo project, Womb. That’ll be out later in the year.